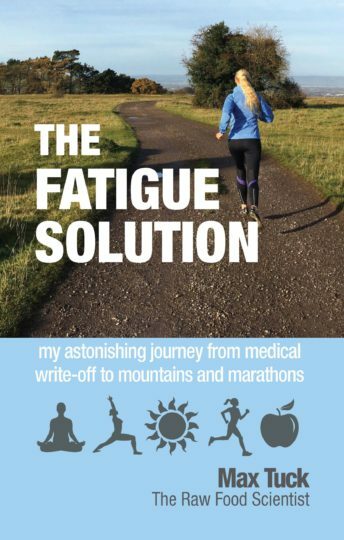 More than 20 years ago, Health Educator and veterinary surgeon Max Tuck approached collapse with Epstein Barr virus and chronic fatigue after years of pushing herself relentlessly. Though written off as a chronic invalid by her doctor she has since run marathons and climbed mountains in addition to managing her tough work schedule. How did she do it? And what can readers suffering burn out and exhaustion learn from Max? 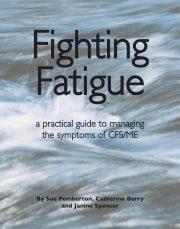 In The Fatigue Solution, Max explains what contributed to her collapse, what factors helped her overcome her personal illness and what she has learned along the way – including the latest research – that will help other sufferers from chronic fatigue to rebuild their energy and their lives. Analysing the scientific evidence for diet, lifestyle and psychological approaches that can promote health and energy levels, Max takes nothing on trust, weaving her personal story with the up-to-date scientific evidence base. You can find out more about Max at The Raw Food Scientist. Max Tuck, the ‘Raw Food Scientist’, trained in veterinary medicine and comes to all health issues, both human and animal, with a rigorously scientific approach. 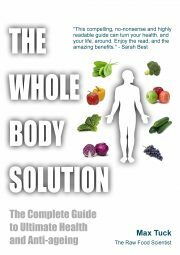 Now a Hippocrates Institute-trained health educator as well as a practising vet, Max was originally prompted to investigate the importance of nutrition to health by her own collapse with chronic fatigue and Epstein Barr virus more than 20 years ago. Since her ‘miraculous’ recovery she has run marathons, competed in triathlons and gained her black belt in karate, in addition to managing her punishing dual-role work schedule. 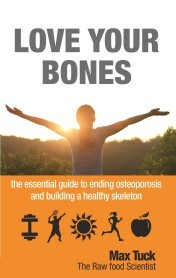 She is the author of The Whole Body Solution and Love Your Bones, both published by Hammersmith Health Books. Visit her at www.therawfoodscientist.com.